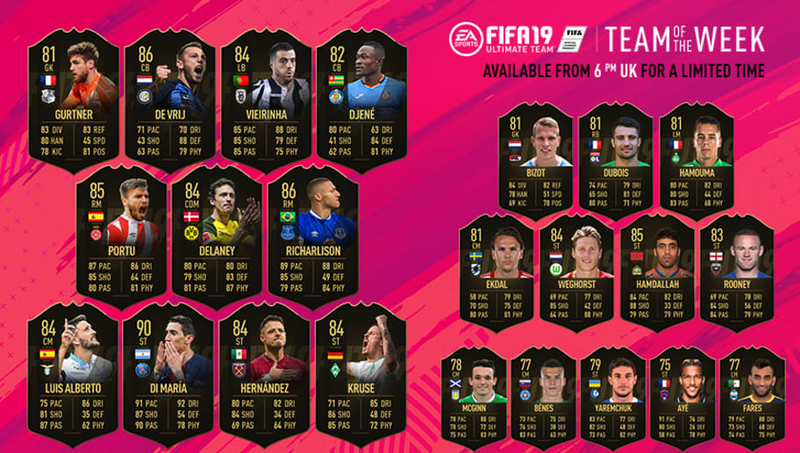 FIFA 19 TOTW 27 was revealed Wednesday as a new Team of the Week entered packs in the game. For some, this Team of the Week comes as a disappointment considering Lionel Messi's hat-trick in La Liga against Real Betis. It was never going to come to fruition, though, because Messi had a 98-rated right wing card in packs for his performance in the Champions League. He can't get an in-form card if there's already a special card in packs. There were some interesting cards, though, considering the amount of positional changes. Again, this TOTW is disappointing for most, but FUT Birthday is coming Friday. That promotion is sure to include new cards and even more positional changes.